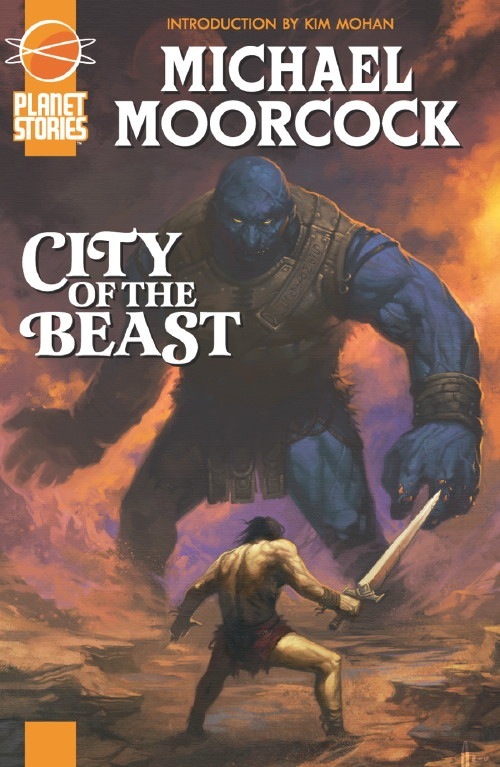 I just finished reading City of the Beast (also known as Warriors of Mars), Moorcock’s tribute to the planetary romance of Barsoom. 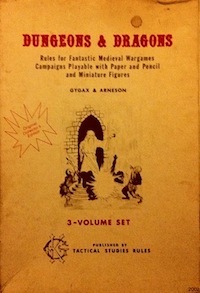 I picked this up during Paizo’s recent sale. It is indeed highly derivative, and even eschews Moorcock’s standard problematic hero in favor of a chivalrous John Carter clone (though Michael Kane hails from the 1960s, and fought in Vietnam rather than the US civil war). They are very great and few of them still live. They are remote and of an older race than any on Vashu. Our philosophers speculate on their origin, but we know little about them. We are content simply to use the things of the Sheev. We were warned in the far past never to tamper with their gifts since it might result in disaster for us! Their mighty civilization once suffered a disaster, but we have only a few legends which speak of it and they are bound up in talk of supernatural entities in whom we no longer believe. These artifacts include mind-crowns that allow people who don’t speak the same languages to communicate (how convenient), flying ships, light sources which “had once burned much brighter” (nice! ), “ethercraft” (space ships), and laser sidearms. Repairing and recharging these items is beyond the knowledge of Vashu’s people, which makes them perfect “magic item” treasures for a tabletop RPG. Also briefly mentioned in passing are the Yaksha, “ancient enemies of the Sheev but originally of the same race” (page 116). The Yaksha left ancient ruins spread over vast plains covered in black mud and stunted, sinister shrubs. By the way, despite the cover image, the blue dudes are supposed to be 8 to 10 feet tall (not 20 feet or more). They are called Argzoon and are standins for the noble savage Tharks of Barsoom, though they live in an underground cavern city located in the Caves of Darkness. This entry was posted in Uncategorized on August 9, 2012 by Necropraxis. Have you read Burroughs, Brendan? I just wondered if it was the sins of the genre (planetary romance) itself or just Moorcock’s take on it that rubbed you the wrong way. I’m not a particular fan of this series either, but for some reason the simple characters or other flaws of the Barsoom stories don’t bother me. Yes, I have read the first several of the Barsoom novels. I wouldn’t say that City of the Beast rubbed me the wrong way. More like that it is a pale shadow of the John Carter novels. I am engaged enough with the setting of Vashu to be already halfway through the next book in the trilogy, Lord of the Spiders. Since the post is a pseudo-review, I do feel somewhat bound to point out what other people might consider flaws, lest they pick it up expecting to be blown away.